After a great deal of hard work pulling together mapping for the London 2012 Olympic Games we decided to use some of the creativity and talent of our cartographers to put together a memento for the staff working at the Olympic Delivery Authority in Transport. 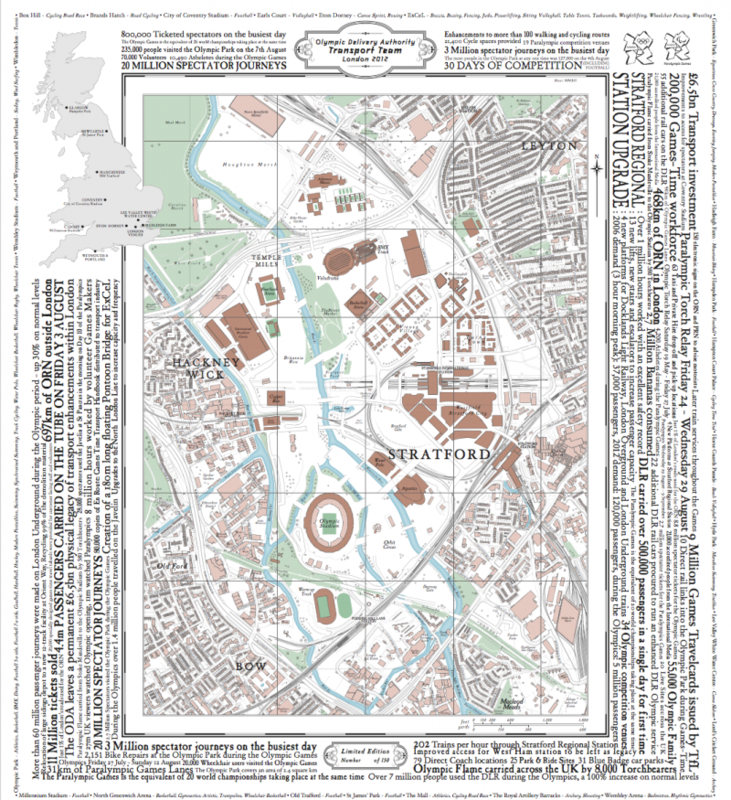 We assembled a wide array of facts from the event and re-created the Olympic Park using a 1940’s style cartography. In the tradition of cartography and sea monsters, we replaced some of the names of roads and key locations with team members names to make it a personal gift for all the hard working team. 150 were printed and numbered for each of the team and most of these are now mounted and hung on walls across the world. It was a really inspiring event and very rewarding to be able to give the team responsible an event map keepsake to remind them of the success and the part they played.